We all are aware that coordinated search engine strategies help in increasing visibility and driving conversions. Organic and paid search work hand in hand to help you achieve the same marketing goals by enhancing the page authority, gathering data to improve campaigns and developing user awareness. For the last decade, marketers have brought together paid and organic search to connect consumers and brands during the key points. By developing an organic and paid search engine strategy, you can fill the gaps in visibility and the marketers can improve content exposure through which they can consequentially generate more revenue. Here are some best ways of developing a beneficial relationship between organic and paid search. Recognizing the gaps in competition: SEO usually offers a chance to display relevant content to consumers who are searching for them with targeted key phrases. In order to understand the best visible organic and paid content placement technique, you have to examine the field of competition for opportunities and obstacles. If you can analyze the main point of the consumers and their intention behind their search phrases, marketers can easily be able to produce content which can offer them better solutions which are offered by their competitors. Hence, you need to analyze and determine the strategies. Extensive keyword research: You need to analyze those keywords which the consumers use in order to understand how your competitors use both organic and paid search leads for designing search campaigns. You need to watch out for the trends in terms of search visibility, evolve and understand user behavior and other areas with weak exposure to enhance the reach of the content being used. 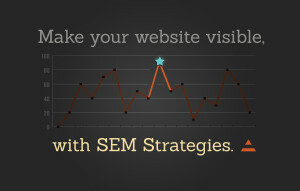 Use tools like Google Analytics, AdWords Keyword Planner and many more. Cycles of content relevancy: Make sure you keep your brand within an evolving cycle of content relevancy so that you can always remain on the top. Use the most engaging keywords in order to create the best possible impact and every piece of content should focus on the targeted keywords so that it could enhance user engagement opportunities. Also be sure about posting best quality content in your website. Therefore, if you wish to enhance search engine engagement through organic and paid visibility strategy, take into account the above mentioned tips and strategies. Get help of an SEO expert if you think you need an expert assistance.